His majesty will fill your thoughts. His love will soften your heart. His holiness will purify your life. When you meet God, you will be changed. Meet him now as J. I. Packer, author of the bestselling Christian classic, <em>Knowing God, </em> leads you through twelve key passages from the Old and New Testaments. These inductive Bible studies will engage your heart and mind. And enlarge your vision of the God you worship and serve. 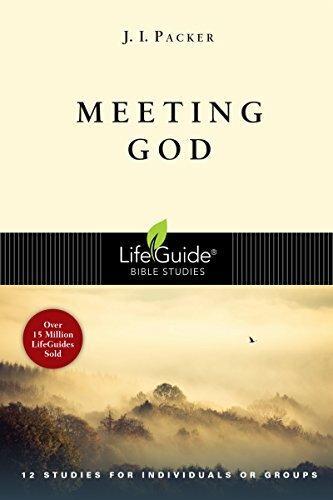 Now available in IVP's revised LifeGuide Bible Study format, <em>Meeting God</em> features questions for starting group discussions and for personal reflection, as well as a new &quot;Now or Later&quot; section following each session. In 2014, Packer was named Author of the Year by the Association of Logos Bookstores. He is a frequent contributor to and an executive editor of<em>Christianity Today</em> and has written numerous articles published in journals such as <em>Churchman, SouthWestern Journal, Reformation Revival Journal</em> and <em>Touchstone.</em> He received a BA, MA and PhD from Oxford University.